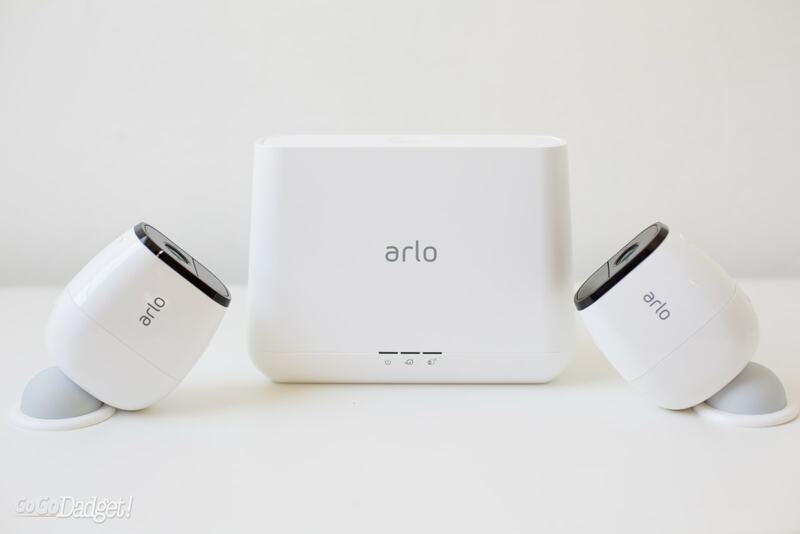 TL;DR: The Arlo Pro home video security system is almost perfect. It’s fully wireless, takes amazing quality images, and had a great number of settings. It does have a couple of drawbacks though, but not enough to sink a great option in DIY home security. Netgear makes some good stuff. They made the Nighthawk router we use as overkill to get through our ridiculously thick 1942 walls. I was happy to find out that Arlo was made by Netgear. 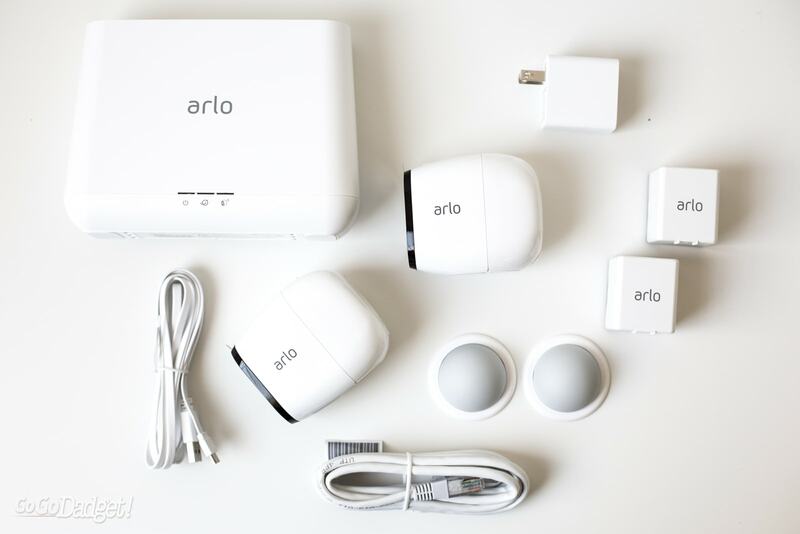 When I reached out to test out the Arlo Pro system, I was pleased to not be turned down and soon after found an Arlo Pro home monitoring system sent to me, for free, in exchange for the super duper honest review you’re about to read. A lot of security cameras look dumb. 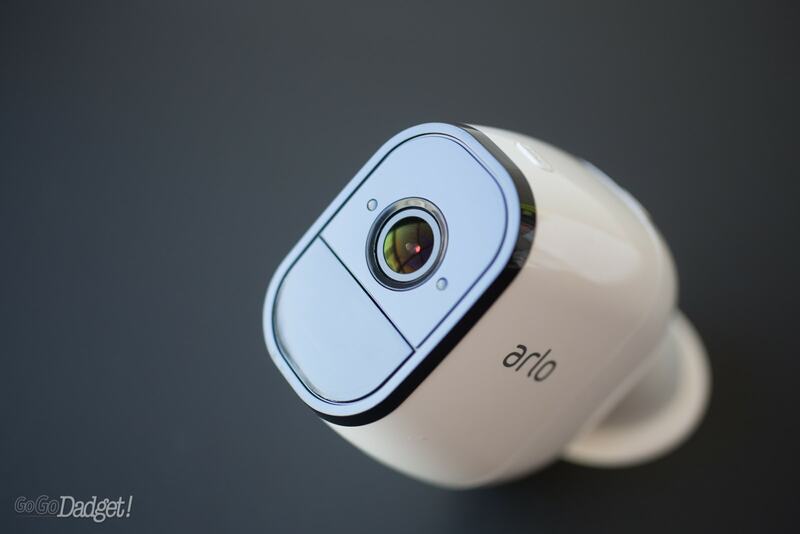 The Arlo Pro cameras do not. With nice curves and minimalist approach to design, the cameras are not to big to be an eyesore and not to small to not be a deterrent. 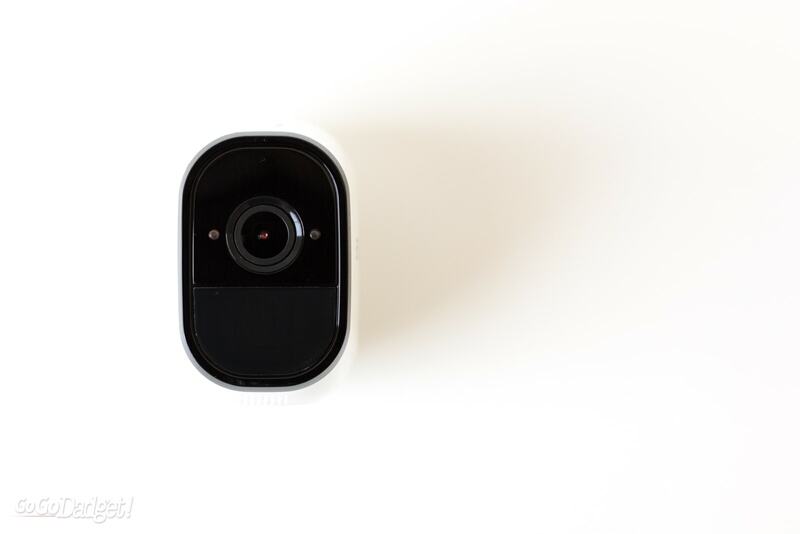 Packaged with the Arlo Pro cameras is the Arlo Base, which has a very loud alarm built into it that you can set off if someone breaks in, and two dome mounts — and the dome mounts are the coolest part. You see, the Arlo Pro cameras are completely wireless. They have removable batteries that only need to be charged every few months (currently, after a month and a half of testing, both cameras we have are down to 86%), and they attach magnetically to the dome mounts. Seriously, you just pull them down and charge them and stick them back up. I know what you’re thinking — doesn’t that make them easy to steal? Sure, if they’re in reach. At that point, though, they’ve recorded a pretty stunning image of who is trying to steal them, and that’s a worthy loss if it means getting the bad guy. But really, just don’t make them easy to access. The cameras are also weatherproof, and will work in extreme heat and cold. 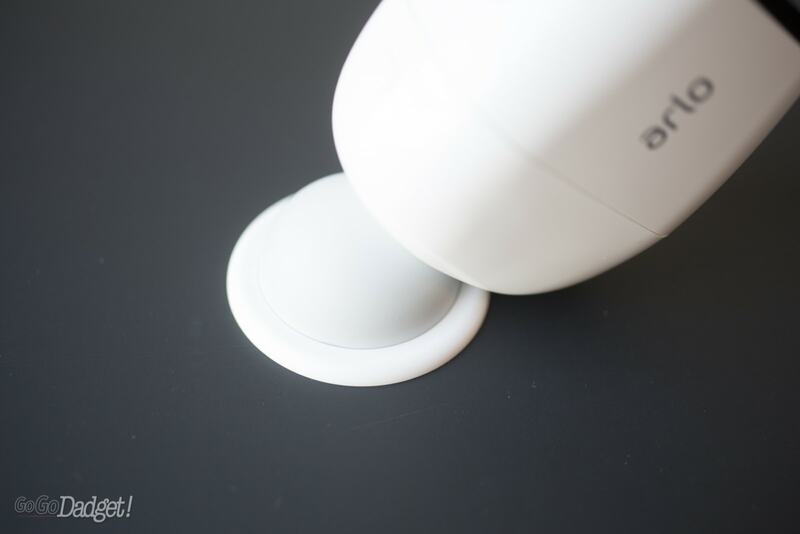 They recharge via USB, and take video in 720p day or night, and include motion detection. Build-wise, they are hefty, sturdy, and solid. They are built with quality in mind. The Alarm Base is pretty big, however, it’d be nice to see a smaller footprint for that in the future, though it’s lighter than you’d think. 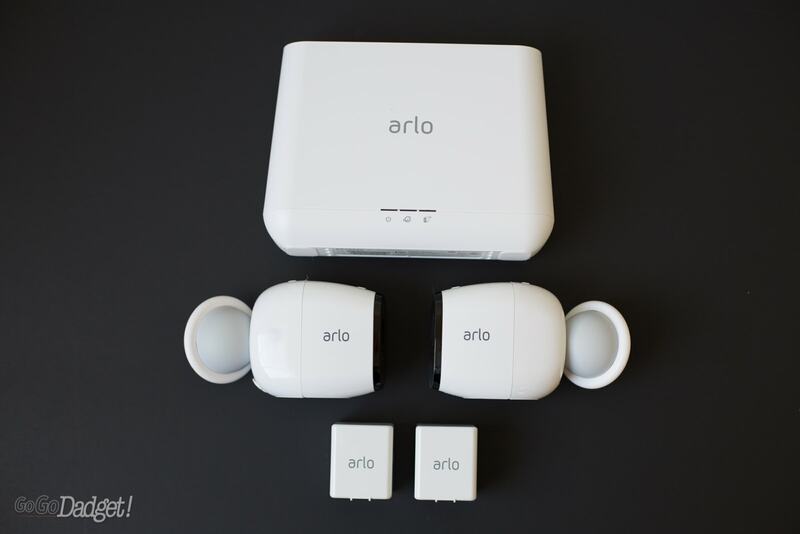 I had zero issues setting up the Arlo Pro system, and the batteries came out of the factory fully charged. Not counting the struggles with putting screws into stucco, and how long it took me to figure out where I actually wanted them, it took me about 15 minutes to get the cameras themselves up and running. This includes tweaking the motion detection distance and making sure the angles were correct through the app. It was so simple I thought I missed something, but here we are about a month and a half later and they’ve been working nonstop. You connect the Alarm Base to your router, then pair each camera to the base. Then you stick them on walls to catch or deter bad guys. It’s really easy. 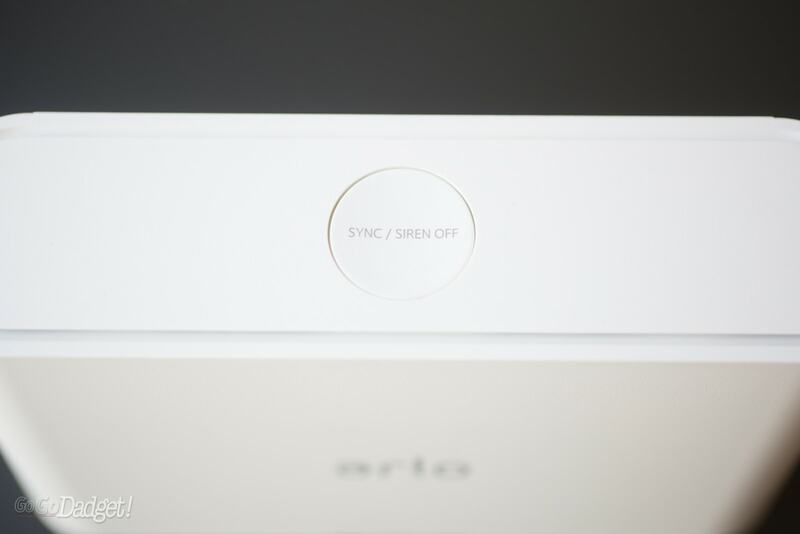 One of the most enticing parts of the Arlo Pro system is that you don’t have to pay monthly for cloud storage if you stick with the basic option. 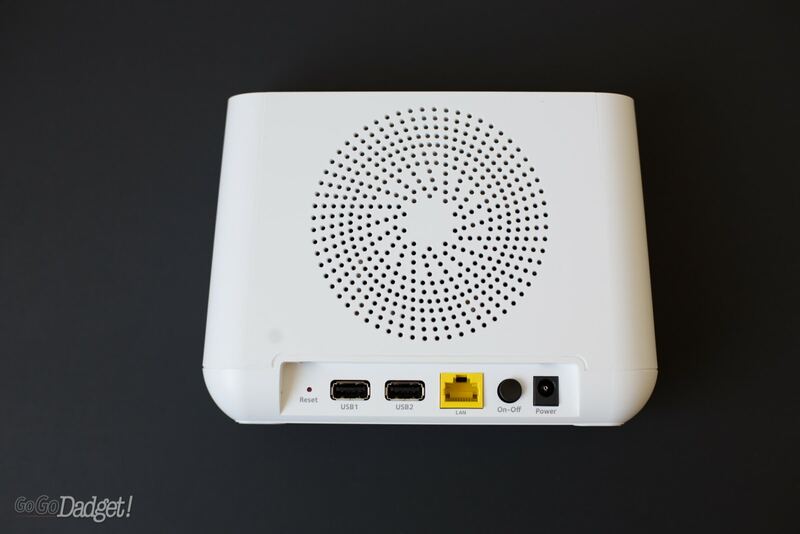 It keeps 7 days of “video memories” in the cloud, and records event/motion detection up to 1GB. It even supports up to 5 cameras. In addition to this, you can plug your own dang hard drives into the back of the base and not worry about that week of recording. Just go wild with it and record everything. Using the app is simple, too. You input your name/password and then you can also use your fingerprint (and probably face) to unlock it for faster access. From there you can see your device status, your cloud video library, change the modes for the cameras, and mess with settings. Changing modes is fine, and you can fine-tune them. 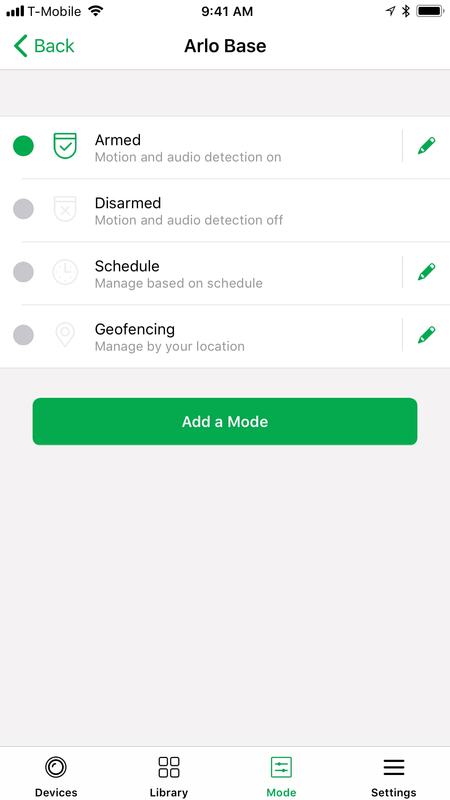 You can arm, disarm, schedule, and geofence — you can even mix settings. The best I’ve found is to use geofencing with a small radius, but also scheduling to make sure the system is armed at night when we won’t be leaving. During the day, if we’re going to be playing outside, it’s easy just to disarm it so our phones don’t blow up with motion notifications. The video quality for the Arlo Pro is, unfortunately, 720p. 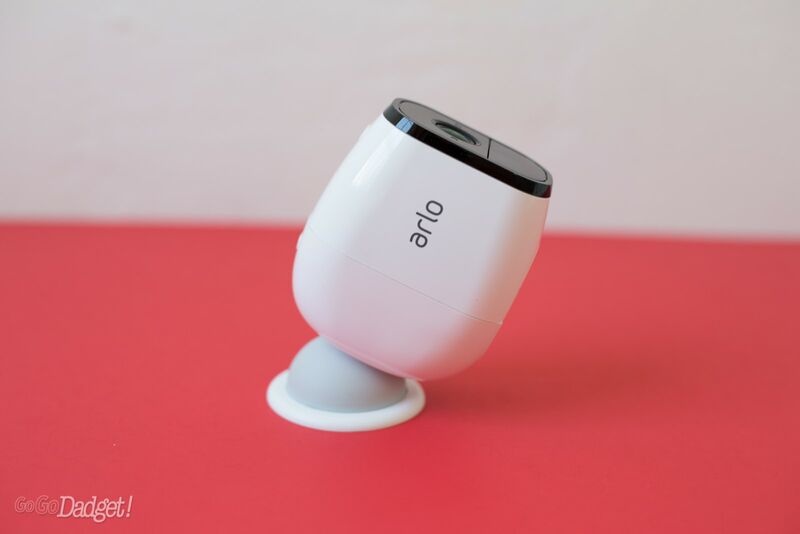 While that’s definitely passable, everything modern uses at least 1080p —and to get that bump, you have to buy the new Arlo Pro 2, which is very similar to the Arlo Pro — save for a more robust set of activity zones and a 3-second look back feature that shows you what happened before a triggered event. Oh, and did I mention Arlo Pro works with Amazon’s Alexa? It’s true. It isn’t perfect — you need an Echo Show or Fire TV to have it show you a live feed from one of your cameras — but it’s still cool and feels like the future. If you want a batter range of view to compliment the 130 degrees you get from the camera, you’re gonna have to get a mounting arm for them. 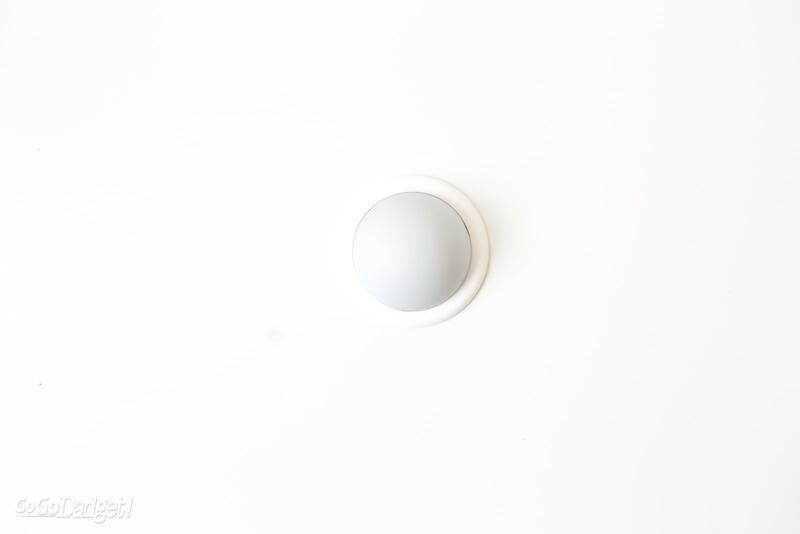 The magnetic dome mounts are beyond cool, but don’t allow for the camera to be pointed down far enough if the camera is too high — it’s a limited range of motion. You can combat this with getting clever as to where you place the cameras, but like in the case of our back yard, the options are limited to begin with, and further limited by the dome. The extended arms — which are not magnetic — are about $20 a piece at the time of publishing. None of the other competitors offer these things, so it’s lucky that we get amazing build quality along with them, because you’d think something would suffer. I just wish the recording was set to 1080p like the Arlo Pro 2, but I get it. I also wish they packaged the system with at least one extended mounting arm, just in case. In the end, at $349.99 (at the time of press), you get a whole lot of bang for your buck — and you don’t have to be locked into an expensive subscription model if you don’t want to be. That’s why I’ve been recommending the system, personally, to friends who ask. It’s just worth it. Thank you so much for this valuable information about Arlo Camera.